For Over 20 Years, Affordable Gutters Plus, LLC Has Been Providing Homeowners In Canton, GA With Quality Gutter Installation And Repair Services. If you’re in need of roofing services and rain gutters in Canton and Roswell, GA and surrounding areas, then you’ve found the right place in Affordable Gutters Plus. 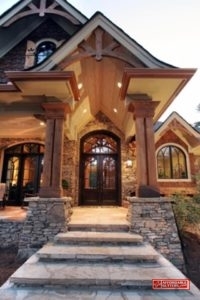 For such indispensable, foundational elements of your home, you want maintenance and installation services you can trust. At Affordable Gutters Plus, our expert team has the knowledge and experience necessary to perform an unparalleled job. From top to bottom, roofing services to drainage repair, we protect your home investment through our dedication to excellent work. We understand the needs of our community and strive to serve as large a part of it as possible with unparalleled gutter and roofing services. When the time comes for a new rain gutter in Canton and Roswell, GA, you deserve all the expertise and experience at our disposal. These critical pieces of your home help protect the structure from the damaging effects of excess water. As water cascades down your roof, you need a roof drainage system that can handle the torrent. As for roofing services, we offer all the protective details you need. From flashing to drip edge, we can service your roof to take the utmost advantage of an advanced gutter system. Gutters For the installation and service of gutters and roof drainage systems, we’re the experts. Roofing Services Our expertise extends to services such as flashing, drip edge, and metal roof installation. In all likelihood, your home is the largest investment you will ever make. At Affordable Gutters Plus, we’ve made it our business to protect the homes in our community. That’s why we offer all levels of protection from the elements. Across the spectrum of our gutter and roofing services, you can trust that no storm will catch you unprepared. If you want efficient, trustworthy solutions to all your gutter and roofing problems, give us a call at 770-735-4433. From large to small, we approach every job with reliability and dedication. Seamless Rain Gutters Seamless rain gutters provide a continual channel for the expulsion of water. Unlike segmented gutters joined through snap-on connectors, seamless gutters have fewer weak points. The benefits come from years of durability, not to mention the broad range of materials and colors we offer to match your home. Leaf Guard Gutters Leaf guard gutters help prevent the entry of leaves and debris into your gutter system. As clogs form in your gutters, your home becomes vulnerable to water damage. Leaf guard gutters act as an added layer of protection. Your gutter and drainage system protects the home from water damage. Gutter services form the lifeblood of our business. No general contractor or home repair company can match the expertise found at Affordable Gutters Plus. Whether it’s installation of new, seamless gutters, the installation of leaf guards, or roof drainage repair, we focus our best efforts on the smallest details. If you’ve ever struggled with water damage from a faulty rain gutter in Canton and Roswell, GA and surrounding areas, you understand the necessity of a proper roof drainage system. Roof drainage functions across multiple levels. At the heart of it all are the rain gutters. We offer the best seamless rain gutters available, in a variety of colors and materials. Seamless gutters have clear advantages over traditional options. 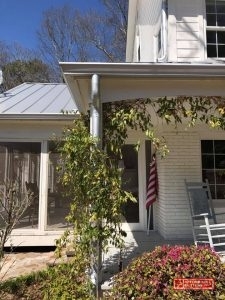 With older-style gutters, every point of connection becomes a target for leaks. Leaky gutters not only fail to serve their purpose — they can outright damage the home. As water seeps behind gutters, fascia begins to rot. Rotted fascia allows the entry of pests, mold, mildew, and water into your attic, and degrades your roof from the inside-out. Fascia Repair Fascia, the wood that covers the edges of your rafters, prevents the entry of water and pests into your roof. When we install gutters, we never ignore rotted fascia, but work to repair the damage that threatens your home. Metal Roofs At Affordable Gutters Plus, we are the area’s sole source for the on-site manufacture and installation of metal roofs. Roof Flashing Roof flashing protects the vulnerable joints and seams in your roof. We offer and install high-quality, galvanized steel and aluminum flashing to best serve our customers. Squirrel Deterrent Flashing Squirrels can cause major damage within a home. The roof provides the traditional entry for these pests. Our squirrel deterrent flashing serves to bar entry at your roof’s most vulnerable points. Drip Edge A valuable piece of your roof’s drainage system, drip edge helps to channel water down into your gutters. We are the local experts for the installation and service of quality drip edge. We understand all the ways that water can damage your home. When we find rotted fascia, we fix it, and our drip edge installation is second to none. Have problems with squirrels? We understand the needs of our local community and offer squirrel deterrent flashing. Seamless rain gutters have better durability than traditional alternatives. Each of these components work together to form a unified system of protection. Sturdy fascia supports your gutters and prevents the entry of unwanted pests and substances into your rafters. Drip edge serves as an extra layer of protection and helps to channel water away from your roof and down into your gutters. As for squirrel deterrent flashing, we understand the troubles that these pests can cause in the Canton and Roswell, GA area. Squirrels set to work on flashing to gain entry into our homes. Squirrel deterrent flashing acts as a barrier and shield and prevents these pests from causing long-term damage. For permanence and stability, you can trust our metal roof services. As the exclusive on-site manufacturer of metal roofs for Canton and Roswell, GA and the surrounding areas, we’re proud to provide a valuable service to our community. Metal roofs come with many benefits to homeowners, not the least of which is decades of durability. 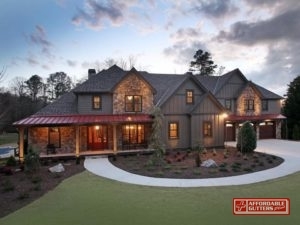 Trust us with your metal roof installation, roofing services, or the installation of a rain gutter in Canton and Roswell, GA, and you’ll rest easy in the knowledge that your home can withstand the elements. 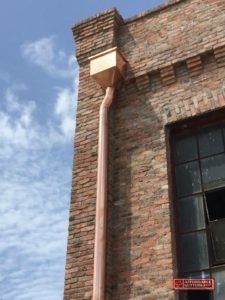 Updated on September 20, 2018 at 6:34 pm by Affordable Gutters Plus LLC.